The young boy cannot get out of the car fast enough, eager to open the box he had obtained earlier that day. He kicks his shoes off at the front door before running upstairs. Just across from his bedroom is a small office that contains nothing more than a small chair, an even smaller stand, and an old 16” box television that sits atop of it. He places the package on the floor slowly, before carefully opening it. First, he pulls out an RGB cord, then a power cord, a black controller, and finally a matching console with a bright green center. After plugging everything in and checking it twice, he turns it on. A green blob appears on the television expanding and pulsing faster, and faster until finally the word, “Xbox” appears on screen. The young boy was me, and the original Xbox was the first console I ever bought for myself. I'm sure many of you can close your eyes and remember the boot up screen. The green home screen, followed by the quiet hum that rang in the background. Maybe you burned some music to your hard drive, to listen to while playing the first Forza. Maybe this is where you first played online with and against other people from around the world. I will forever remember my priceless experience with the original Xbox. This being said, the Xbox turns 16 years old November 15th of this year. Its much more powerful descendant (Xbox One X), releases November 6th in North America. So let us go back and revisit where we came from, and pay homage to one of the best consoles ever made. In 1998, four MS (Microsoft) engineers from the Direct X team, Kevin Bachus, Seamus Blackley, Ted Hase and team lead Otto Berkes, created the first Direct Xbox prototype out of old recycled laptop computers before presenting it to Bill Gates. Blackley was working on Jurrasic Park: Trespasser the year before he joined MS, it was a critical failure, only selling 50,000 copies. That thought was in the back of Blackley's head while presenting this new prototype, with a bunch of green engineers, to Gates. Their dream was to create a more portable, compact gaming PC that ran on Direct X software. To their delight, the project was approved by Gates and the early stages of development began. Still, the project was scorned and hated by a large portion of the company, for fear that it would take away from software sales. 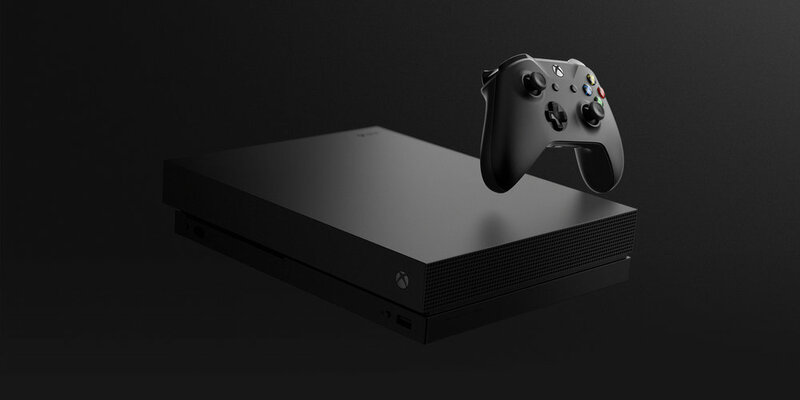 The Xbox was delayed several times during its development, stemming from several disagreements among team members with its design. First off, the 8gb hard drive (50,000 blocks) that was selected for it was terribly expensive, and many of the team members deemed it overkill. Secondly, the Ethernet port was almost replaced with a phone jack. Bill Gates loved the idea of online gaming because of the dramatic growth and success of the internet, but during the time most households were still rocking dial-up internet, and very few people had broadband. Bill Gates, along with many others thought an Ethernet port would be too far ahead of its time. However, they stuck with the idea that the Xbox would be a console of the future and kept the port. Thirdly, they could not decide on a name. Xbox was more of a code name that most of the team hated, but after receiving a lot of positive feedback from developers, they kept it. Once the developers decided what features they wanted for the controller, they sent off the specs to an outside chip manufacturer. It supported state of the art dual vibrating motors, two accessory slots, and a pressure feedback D-Pad. What they got back was a chip no smaller than a dinner plate. The team of engineers did everything they could to downsize the chip, but it was still massive and thus, The Duke was born. The Duke broke a Guinness World Record for the biggest controller in the world. It was also ranked second worst controller ever made by IGN, and was even awarded “Blunder of the Year” by Game Informer. I remember playing demos on the original Xbox, and how difficult it was to hold the gigantic controller in my hands. Thankfully, a smaller controller would be released the following year after launch, but to this day, I think my hands still ache from holding that thing. MS was fully aware that the video game market was well established, with it firmly held down by Sony's PlayStation 2 and Nintendo's N64. While the Xbox was significantly more powerful, it needed more than just brute strength to get its foot in the door, especially with Nintendo's GameCube already in development. Bungie had been working on Halo, which at this point was a 3rd person shooter, (converted from an RTS game) and a Mac exclusive. In 2000 MS bought Bungie, (for 20-40 million dollars) keeping with their business strategy of throwing money and flexing muscle until they got what they needed. Halo was then converted to a 1st person shooter. First person shooters were becoming immensely popular. MS needed a huge exclusive title that would grant them success in the video game market, like Nintendo had with 007 Golden Eye on the N64. In 2001, Halo would be that title. The Xbox was officially unveiled to the public January 3, 2001 by Bill Gates and guest star The Rock, at CES in Las Vegas. It was well received despite there being several delays. The dream of 4 green engineers was about to come true. Its time would come when it released in North America, November 15th, 2001 becoming the most powerful console on the market. In addition, the Xbox was the first American made console released since the Atari Jaguar in 1996. Lets back track to 2000. MS knew they needed more than raw power and a great exclusive to have a solid launch. However, the unfortunate truth was that the Xbox team had very little funding, and most everyone was closed to the idea of starting any other projects. After much debate, a small group was formed, lead by computer scientist James Allard and Boyd Multerer. Their sole purpose was to develop an online gaming service for the Xbox. Sure, families had played together on single consoles since the 80's, but Allard wanted to connect gamers from all over the world. He wanted them to experience gaming in a whole new way. This was something very personal for him and the team, failure was not an option. They were extremely passionate about gaming and the success of the Xbox. Eric Neustadter was another Live team member. He designed the “op center,” that served as the core for the online service. It was a global data center that would be the foundation for Xbox live. Conversations were had, and deals were struck with surrounding internet companies to ensure Xbox Live testing would have enough bandwidth to work properly. Not to mention, they would have been shut down immediately by any internet provider once the service began sucking the life from their lines. Next, the consoles were setup to send encrypted data to the “op center,” so as to prevent hackers from ruining their games. It also provided a more stable internet connection, in a time where online PC gaming was only starting to improve past terrible hacking and connection issues. At this point the Xbox Live team was having tremendous success developing its online service, so they decided to test it out and film the event. Backup quarterback Matt Hasselbeck had just scored an early lead against Peyton Manning in NFL Fever 2002. The catch was that they were on completely different continents. Film crews recorded their interactions that soon turned into laughter and trash talking. It was then, the entire Xbox team knew they had something very special. It was now early 2002 and the console had come out the holiday prior. Xbox Live was ready for testing at this point, so Live beta kits were sent out to employees that contained a version of Revolt that was Live compatible. Revolt was an 8 player racing game that was tweaked to support online 8 player racing and chat. It was the perfect, simple game to test everything out on. By April of 2002, 15,000 kits had been given out to friends, and friends of friends. Live was doing better than anyone could have expected. The big night finally came in Hollywood on November 14th, 2002 during the Xbox Live launch party. Stars Samuel L. Jackson and Freddie Prinze Jr. attended, showcasing NBA 2K online play. Mech Assault would end up being the first Xbox Live launch game released to the public, and the success and numbers it saw blew developers' minds. This was the beginning of everything. The online services we use today all started with this humble beginning. Something that was nearly shot down and never achieved. Xbox Live would become the corner stone of what Xbox is today, and the console would not have obtained this success without it. As passionate gamers, it is easy to get caught up in the drama that is today's gaming industry. One important thing, is to remember where we came from. Perhaps you never owned an original Xbox, but I'm sure there is a console that gave you the same feeling my Xbox gave me growing up. The feeling that I could get lost in a world of fantasy and wonder, that I was part of a close community. No matter what console you root for, we are all gamers and we are all cut from the same cloth. I grew up on the East Coast where I currently live. I cut my teeth on Wolfenstein 3D, Doom and Super Mario World and I'm a sucker for all things nerdy. I enjoy working on music and sound production when I'm not working or drooling over a new game.